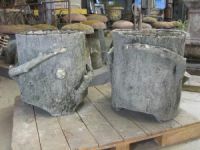 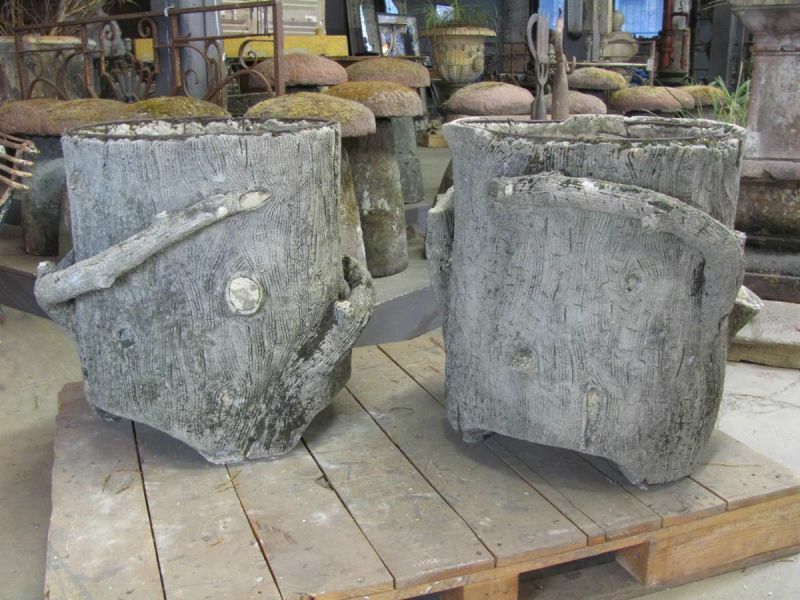 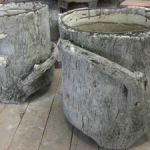 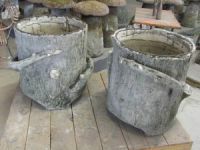 Outstanding, large pair of early 20th century French faux bois planters or tree tubs in the form of rustic tree stumps. 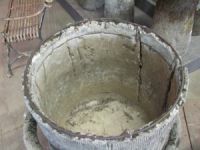 Nicely weathered, with wear and old losses around the rim of each. 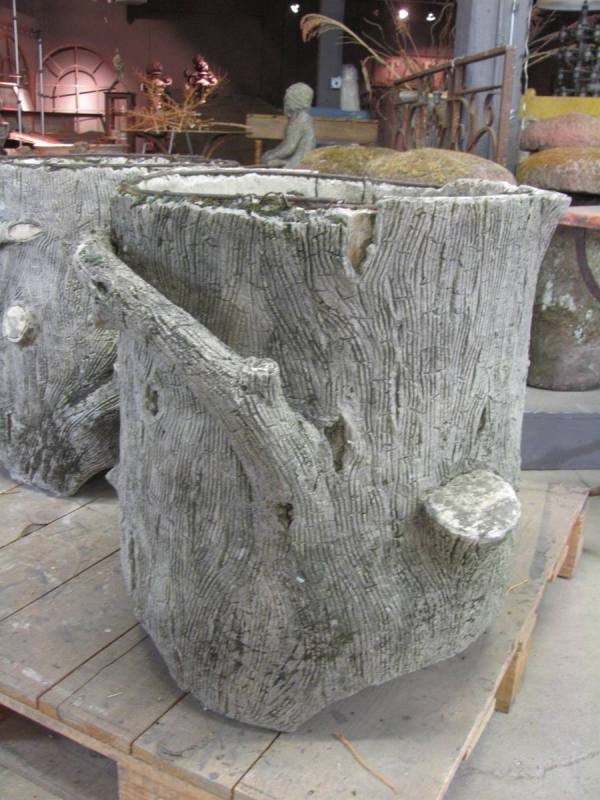 Measurements: Height: 27" Diameter: 22"